The Pubcast heads Down Under for the first time ever! 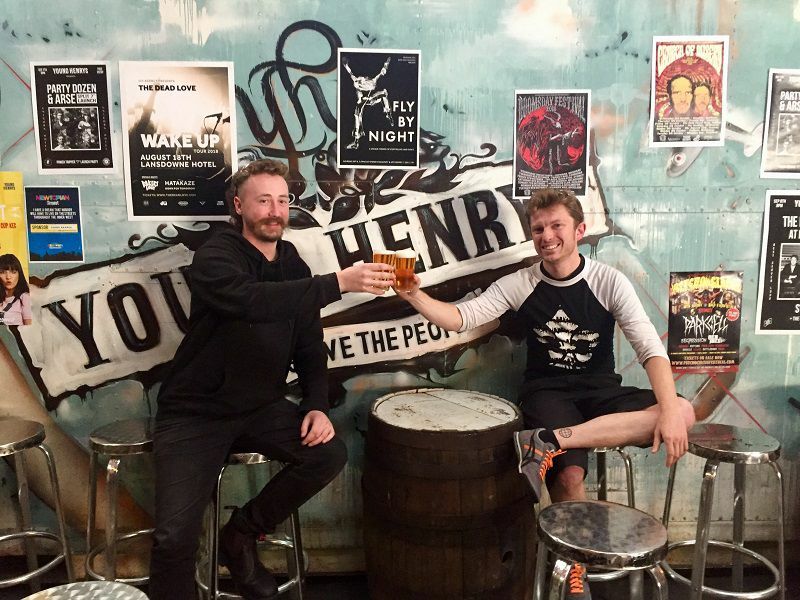 In this episode, we travel to Sydney, Australia for an episode of Flight School with Young Henrys, the brewery that served as the catalyst for the craft beer boom in Sydney’s bohemian Newtown neighborhood. Senior Brewer Jesse Searls takes us through a flight of 7 core and seasonal beers – including their flagship Australian Pale Ale ‘Newtowner’ – while regaling us with drinking stories from his days in the brewery and in Europe. So, pour yourself a ‘schooner’ and get ready for a crash course in Australian beer! Located in Sydney’s Newtown neighborhood, Young Henrys has become a centerpiece of this vibrant part of the city. The brewery has rightfully gained a reputation for its “low impact brewing” that emphasizes sustainability and keeping ingredients local, while their rock ‘n’ roll aesthetic has landed them collaborations with major acts such as the Foo Fighters. 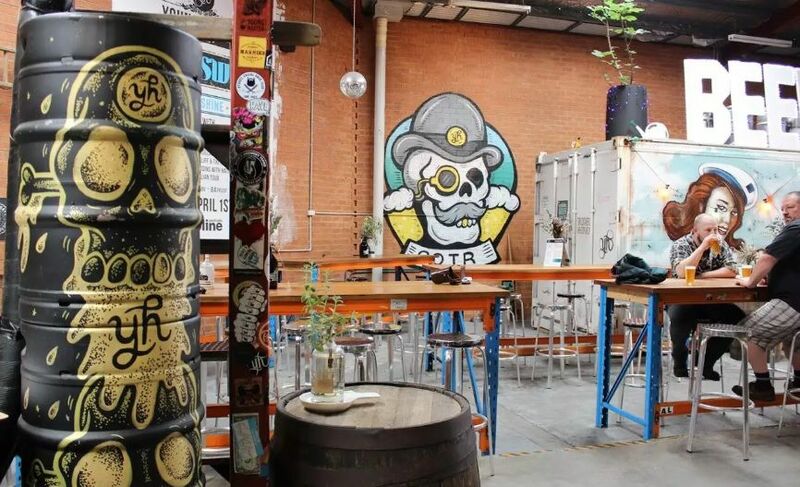 Young Henrys was the first brewery in Newtown, opening in 2012. Since then, a total of 11 breweries have opened up in Sydney’s West End. Jesse regales us with some Australian beer facts. While XXXX Gold is the #1 beer by sales in Australia, the oldest beer in Australia is actually from Tasmania. 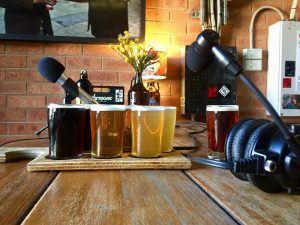 We review Australian beer terminology – Pints, Pots, Ponies, Schooners, and Middies…listen and learn! Young Henrys is known for their collaborations with rock bands, including some huge names like Mumford & Sons and Foo Fighters. After discovering craft beer in the UK, Jesse moved back to Australia as the bar manager, and eventually got his start as a keg washer at Young Henrys. Since then, his responsibilities have increased to Sr. Brewer, and he’s now helping other up-and-comers broaden their skills throughout the brewery. Newtowner – This Australian Pale Ale brewed with predominantly Galaxy hops is Young Henrys’ flagship beer. Perfect in its simplicity. Captain Barnacle – With oysters from Sydney Harbor added to the boil, this is a fairly standard stout with some salinity and a hint of seafood in the aroma. Young Henrys has an awesome Instagram following, and check them out on other social media including Facebook and Twitter. Everything is @younghenrys. Young Henrys is located at 76 Wilford St, Newtown NSW 2042, Australia. Tasting room hours are 12pm to 7pm (12:00 to 19:00) daily.